We currently host wedding ceremonies up to 100 people. Sorry, we do not host receptions at this time. If you are looking for mountain wedding venues in South Carolina, our goal is to provide a simple, beautiful space at a competitive price. Pricing ranges from $500 (just the couple) up to $3,500 (100 people). Please inquire about pricing and availability by completing the form below. In our Landrum, SC wedding venues, weddings may take place during one of two time slots: 11:15 – 1:15 or 1:45 – 3:45. Please note wedding times are based on a first come first serve basis. Weddings over 50 people require a day of coordinator or event planner to be on site to coordinate your event. The Red Horse Inn acts as an event space only regardless of size. The Grand Terrace is a veranda which is 50 feet wide by 120 feet long. This mountain wedding venue in SC is the most impressive of the locations as the backdrop is the Blue Ridge Mountains. Completely outside and with superior mountains views, you’ll get the full feel of an outdoor wedding at The Red Horse Inn. In case of inclement weather in The West Arbor is a brick patio and is 20 feet wide by 30 feet long. Landrum our wedding venues at the Arbor provides protection from the sun or rain. If such weather occurs outdoor weddings may continue unhindered with the amazing views the Grand Terrace offers with protection from above. The Wine Bar is intimate with plush chairs in front of the fireplace. This is the perfect place for a ceremony when the weather outside is not ideal. The views and the décor will ensure that you have the perfect environment to create a memorable experience for the most important first day of your lives together. Pricing is based on the accommodation choose plus the cost of using our Landrum wedding venues. Once you have an idea for which accommodation you'd like, click the "Book Now" button, enter your dates, choose your preferred accommodation and select the Enchanted Elopement Package. Please note wedding times are based on a first come first serve basis. If you want a particular time for your wedding, please call us to book. 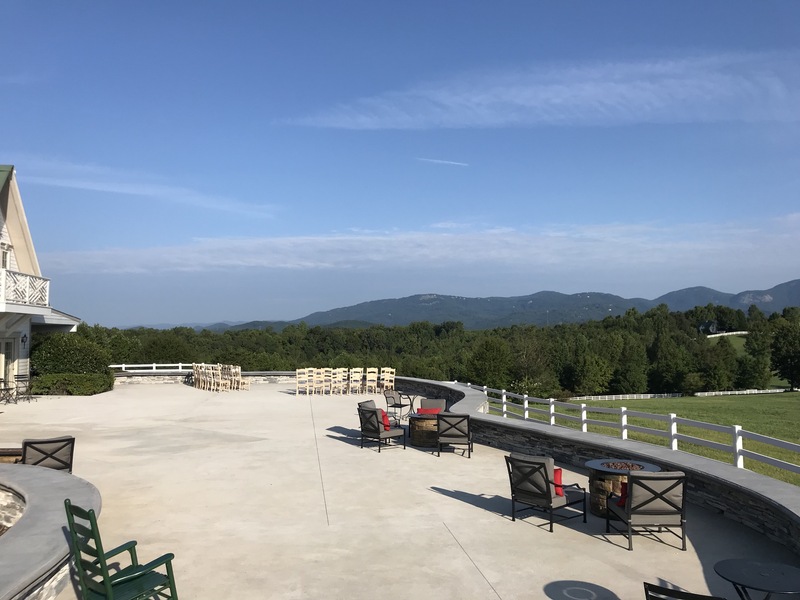 Our selection of wedding venues include the terrace or the covered arbor which both offer beautiful views of the South Carolina mountains. Alternatively, you may elect to stand in front of the romantic fireplace hearth in the Wine Bar. But your special package only begins here. Build your own package with a bouquet, boutonniere, champagne for a toast or even whether to use our recommended photographers. Enhance your wonderful event by selecting from the many special items on our Special Amenities page. Bring your own minister or choose from the list below. We have a sound system with Bluetooth capability so you may play your choice of music from your own phone. Spartanburg County is easier to deal with than Greenville county. Landrum is in Spartanburg County - the following is a link to probate court, where you will apply for your marriage license. We strongly suggest you contact them for the type of ID you will need to bring in order to apply for / obtain a marriage license (there is a 24-hour wait in SC once you apply). If you have further questions, you can call them: (864) 596-2556. In NC or SC, "best places to get married" is an easy question to answer. 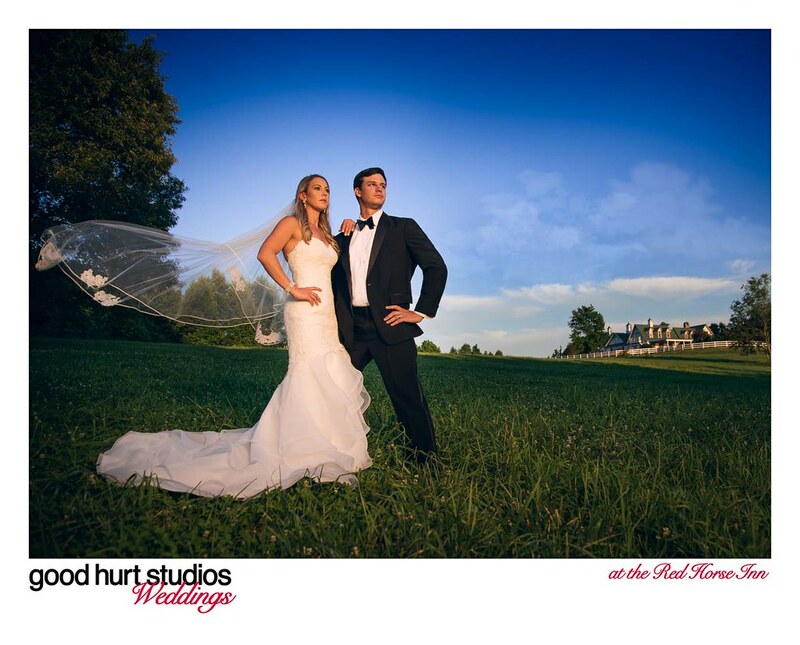 The best wedding packages in SC or NC will include idyllic surroundings, of course. There will also be options for music and photography. 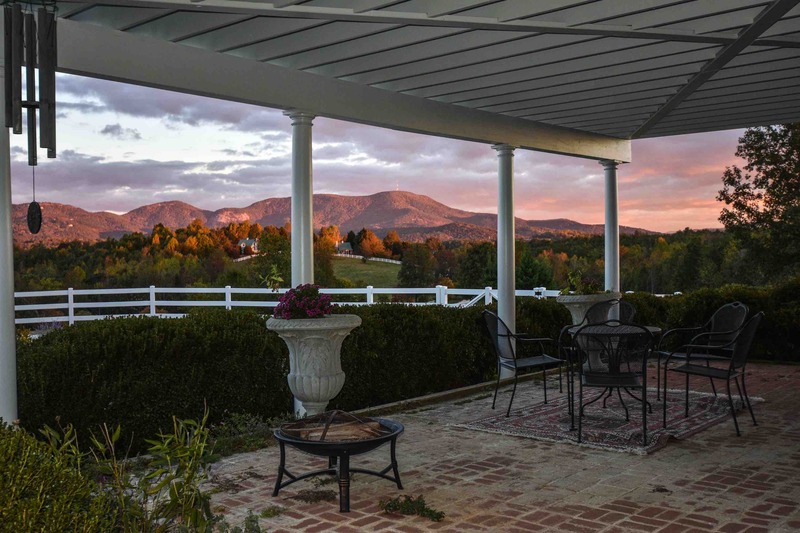 Whether you seek the top Greenville elopement packages or you prefer the best places to elope in Asheville, behold the answer: The Red Horse Inn. Situated in Landrum's foothills to the Blue Ridge Mountains, our weddings are what memories are made of at the Inn. 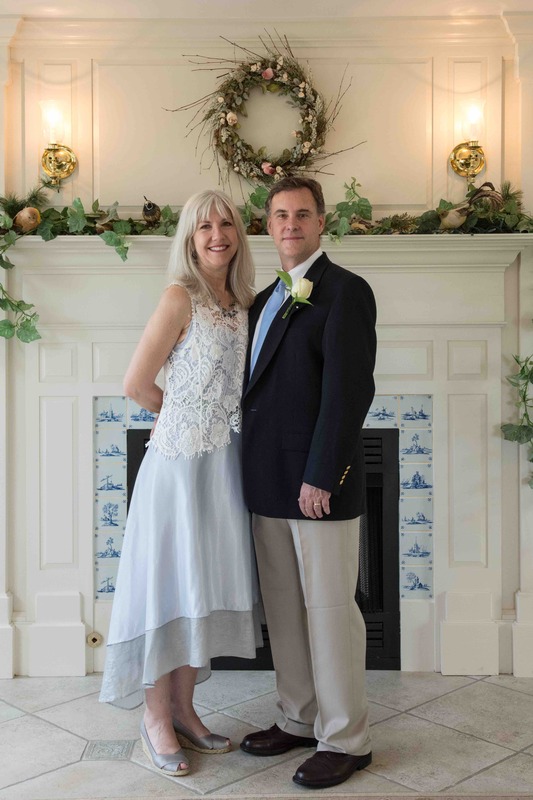 So for the most memorable Tryon weddings or the perfect environment for your Spartanburg elopement marriage, it's well worth the short drive to Landrum to experience The Red Horse Inn. Are you bringing your own Officiant? Do you want to use a photographer off our list?